I next to never use cruise control. 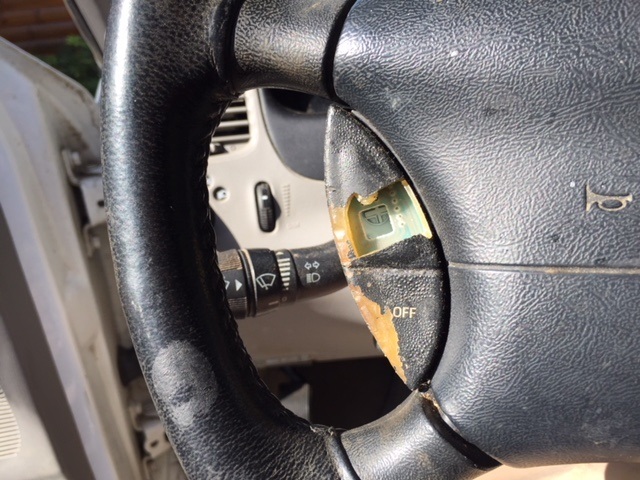 But when I went to see if it still worked on my vintage Ford Ranger, my finger went right through the button. Ranger's been on the road better than 18 years, so I guess it should be expected plastic parts are going to start giving way. Rangers are pretty good trucks, I owned one for a long time and finally went with a F150 so I could do more with scouting. Also something to keep in mind, Rangers are structurally the same vehicle from 1994 until 2010. Explorers from 1995 to 2001 will fit if you wanted to upgrade something, you may have to move electrical but structurally are the same.